This relaxing and informative 30-minute cruise along San Antonio’s riverfront neighborhood is both a great introduction to the city and a fun way to escape the heat for a bit. Enjoy learning about historical fun facts as you cruise by some of the city’s best landmarks. The whole family will love spending the day at Six Flags Fiesta Texas. Six Flags Fiesta Texas is the most exhilarating theme park in all of San Antonio. Whether you’re looking for thrill rides or kid-friendly carnival games, you’ll find it here. Take a ride on the new Wonder Woman Golden Lasso Coaster or head over to the water park to cool down on the Bermuda Triangle Slide or Big Bender Raft Ride. And make sure you check out the Celebrate! Summer Nights Spectacular that takes place every night at the park. Once the sun goes down, keep your eyes peeled for a topnotch pyrotechnic show complete with fire and water displays. Another great place to take the kids for Labor Day Weekend (or any weekend, really) is the San Antonio Zoo. 750 different species call the 50-acre zoo home, so there’s plenty of things to see and do that will keep you entertained for the whole day. Check out the Butterfly Garden, a crowd favorite, where you can immerse yourself in this gorgeous creature’s natural habitat. You’ll see everything from alligators to zebras to giraffes. Tower of the Americas is San Antonio’s tallest building and a great landmark to add to your San Antonio sightseeing bucket list. Journey up to the Flags Over Texas Observation Deck for aerial views of the entire city. You’ll be able to see all of San Antonio’s top landmarks, like the Alamo, from this vantage point. You can also catch a showing of Skies of Texas: 4D Theater Ride. Fly over the Lone Star State in a 4D simulator and see a Friday night football game, a NASA Space Shuttle and more. If you’re visiting on a Friday, stay put for Party on the Plaza. Every Friday, Tower of the Americas hosts a free concert that is open to the public. Make sure to catch the rock and country-themed event on August 31st for Labor DayWeekend. 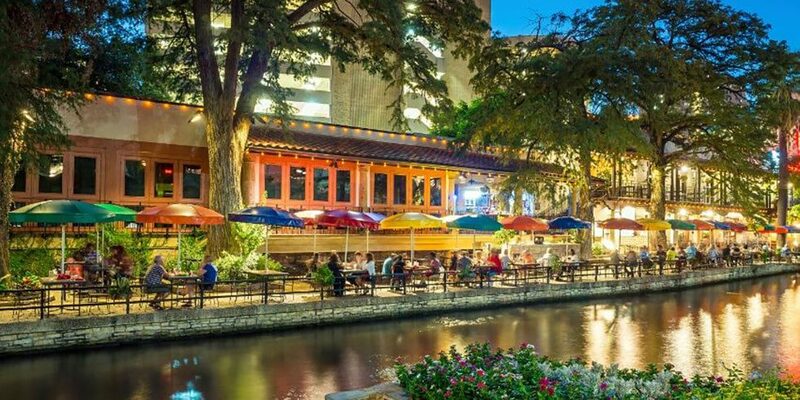 Visit one of the most beautiful and lively neighborhoods in all of San Antonio with a trip to the Labor Day Artisan Show Walk, August 31st – September 3rd, 2018, at San Antonio River Walk. Stroll around soaking up all the amazing sights and sounds, and perhaps come home with a souvenir from local artists and artisans. From unique, hand-crafted household items to one of a kind pieces for your wardrobe, you’re sure to find something here. The Labor Day Artisan Show Walk is free and open to the public. Check out a few more ideas and read the full article here.